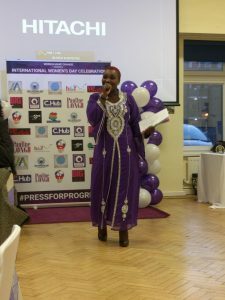 Last Saturday we had our second Enigma Event in partnership with “Women Make Change” who put together a great event for International Women’s Day. 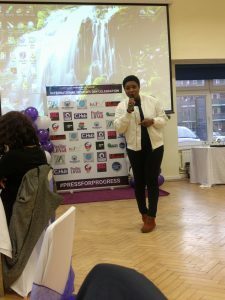 Women Make Change is a charity that promotes and protects the health and safety of women and girls affected by domestic violence. Melanie Nock took the chance to introduce Aunt Esther’s Story. Esther Bruce’s autobiography written by Stephen Bourne tells the story of a black London Seamstress from 1912–1994 and provides a first-hand account of the life of a black Londoner in the pre-Empire Windrush years. When Esther Bruce was born in Fulham in 1912 only small black communities exited in Britain. 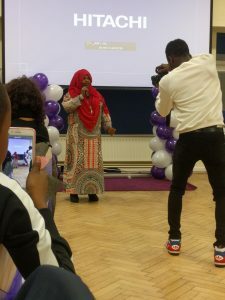 Another big announcement was the launch of the “Agents for Change” Women’s Leadership Programme that we founded in partnership with the H&F Council, the Imperial College and the Lyric Hammersmith.